The New York governor said during an interview that losing the Amazon deal makes him sick to his stomach. It was his first public comments on HQ2 since his office issued a statement Feb. 14, the day Seattle-based Amazon announced it was backing out of an agreement to redevelop a site in Queens. ALBANY, N.Y. (AP) — Gov. 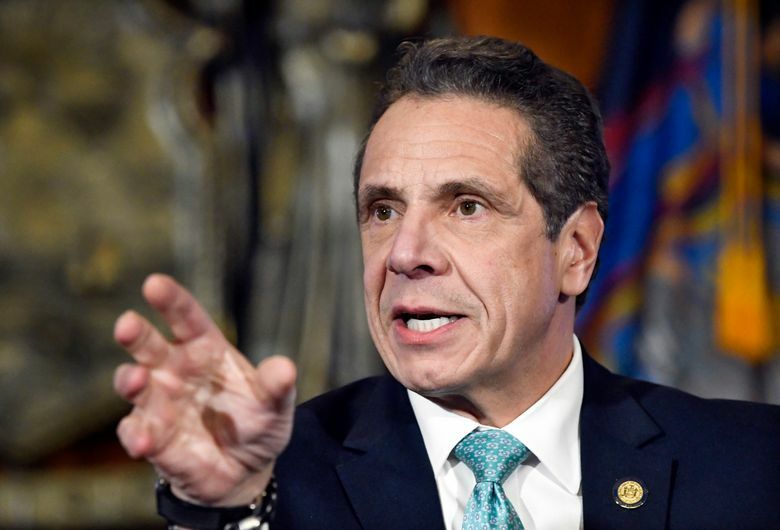 Andrew Cuomo again blasted fellow Democrats on Friday over Amazon’s backing out of a deal to put one of its second headquarters in New York City, calling the internet retailer’s rejection the “greatest tragedy” he has seen since he’s been in government. Cuomo also said during an interview on public radio station WAMC that losing the Amazon deal makes him sick to his stomach. His public comments were Cuomo’s first on the topic since his office issued a statement Feb. 14, the day Seattle-based Amazon announced it was backing out of an agreement to redevelop a site in Queens. Democrats who control the state Senate bear much of the blame, Cuomo said, including Sen. Michael Gianaris, who represents the Long Island City neighborhood where Amazon wanted to base 25,000 jobs, with the potential to expand to 40,000 jobs over two decades. Cuomo, a 61-year-old third-term governor whose public service career started in the 1980s, said the state Senate made the “misguided decision” to treat the Amazon agreement as a local political issue. As such, Democrats led by Senate Majority Leader Andrea Stewart-Cousins gave Gianaris, the chamber’s No. 2 lawmaker, too much influence over approving or rejecting a deal that would’ve put $27.5 billion in state coffers over the next 30 years, the governor said. Gianaris and others opposed to the Amazon deal say they mainly objected to the $3 billion in state and city tax incentives the company stood to receive for reaching its job creation goals. The way the deal was brokered behind closed doors by Cuomo and New York Mayor Bill de Blasio, a Democrat, also helped to rally the opposition. Amazon called off its Long Island City plans on Valentine’s Day, after growing opposition to the project led to last-minute efforts by Cuomo to keep the deal on the table. Meanwhile, de Blasio said it’s time New York officials move on from the Amazon debacle. This story has been corrected to show that Cuomo spoke Friday, not Thursday.